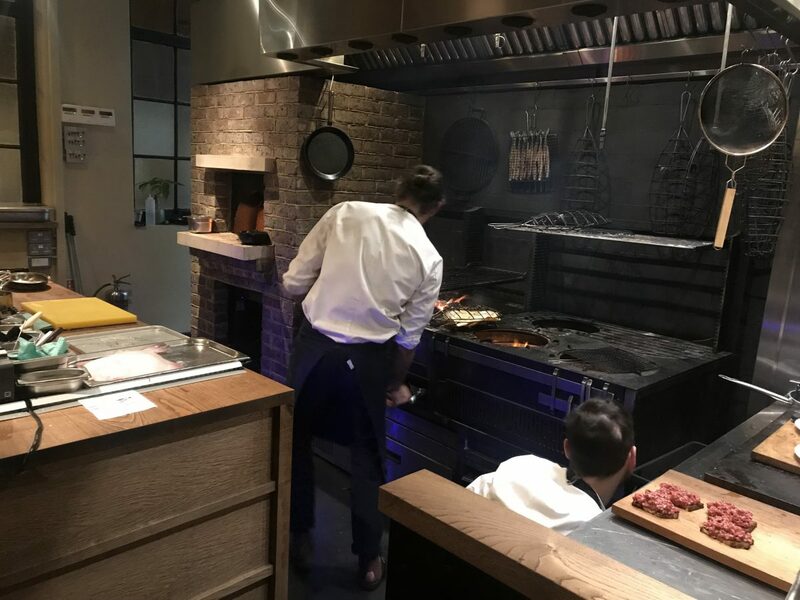 Chef and co owner of Brat, Tomos Parry, earned his stripes head cheffing at Kitty Fisher’s in Mayfair. There he cooked meats on an open grill and it was marvellous. David Cameron even liked it. 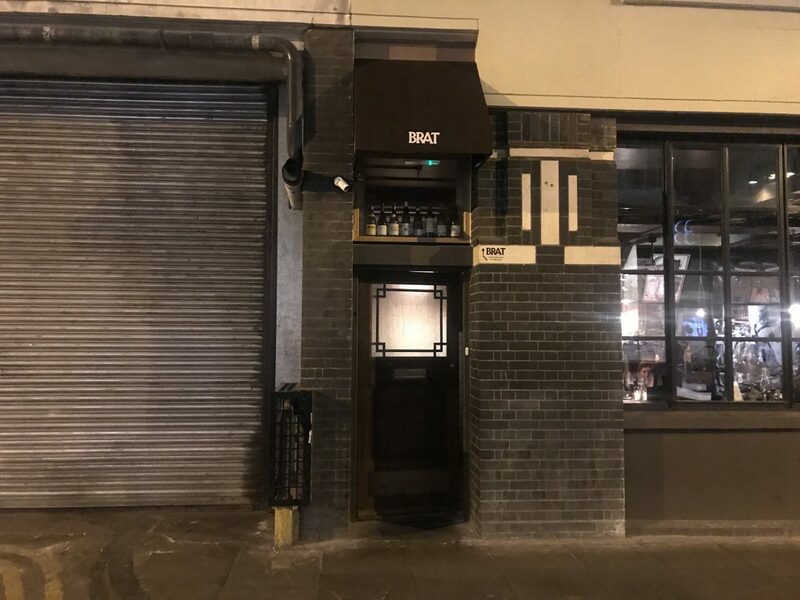 Tomos’s first standalone restaurant, BRAT, is above Smoking Goat in Shoreditch (the guys from SG have invested). It’s one of the prettier dining rooms I’ve been in of late; dark wood panelled walls, a completely open kitchen and a long bar down the centre of the room. It’s an unusual but very clever layout as you feel part of the action in every seat. Cod’s roe and bread (£6) is a dish familiar to those who dined at Kitty Fisher’s. 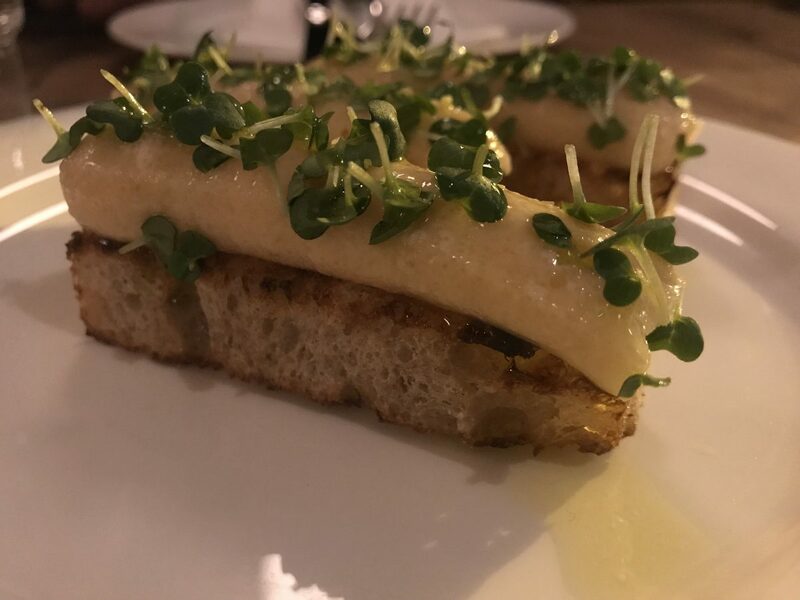 Fingers of toast topped with a sweet and pungent cod’s roe sprinkled with cress and drizzled with really decent olive oil – it’s a lush thing to eat. 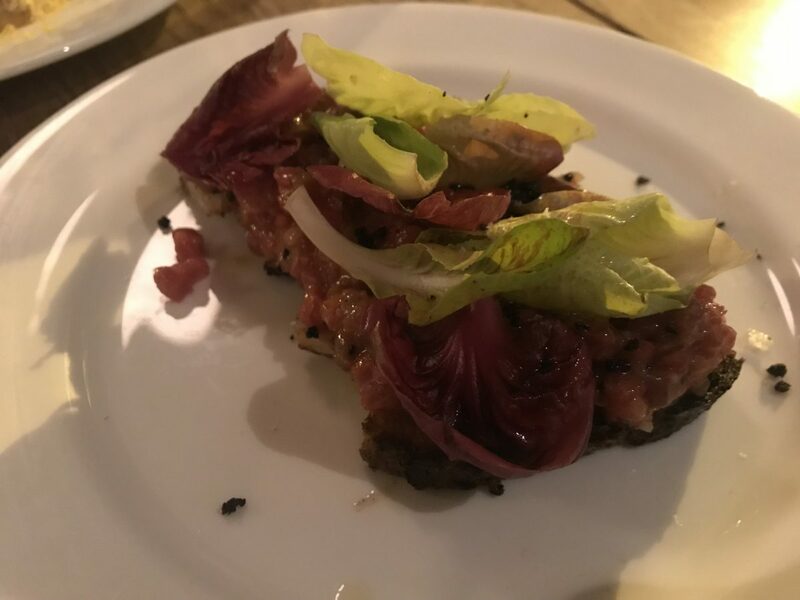 Moorland beef tartare (£10) comes on more of that lovely toast along with some lettuce for freshness. 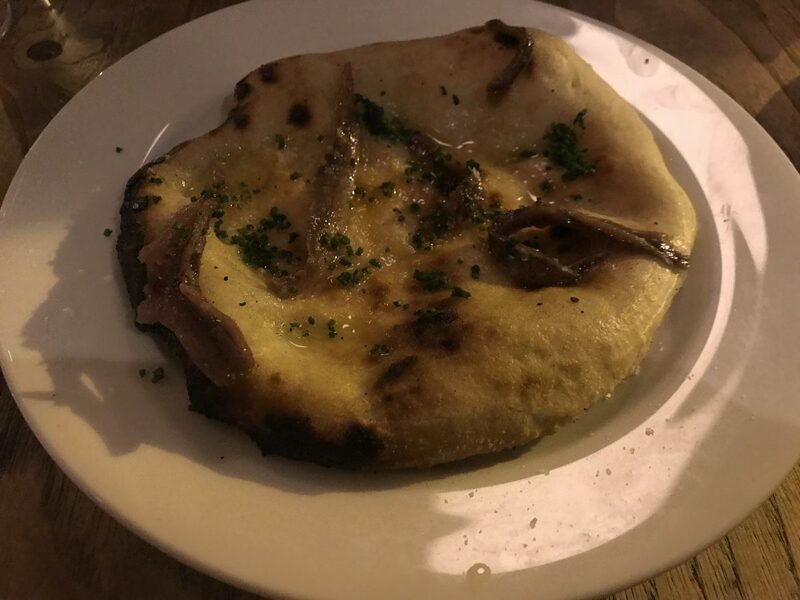 A small round flatbread (£5.50) is topped with beef fat and anchovies; a marvellous pairing if ever there was one. 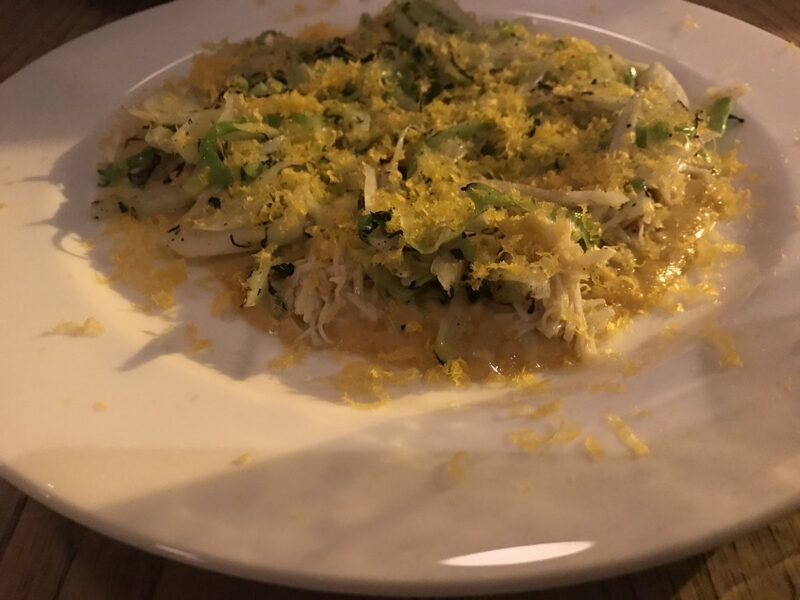 A plate of spider crab (£10) is a blend of sweet white meat, the richer dark meat and shredded cabbage. Texturally it’s moreish. 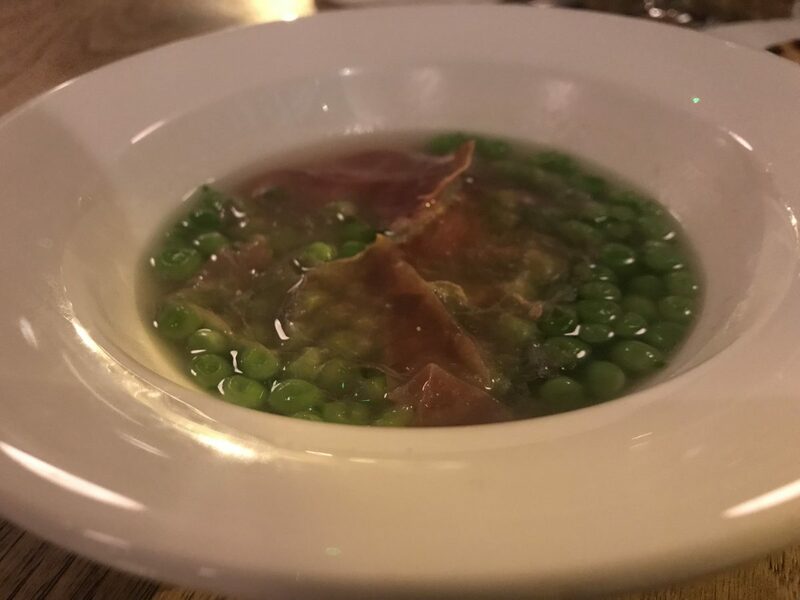 A bowl of baby peas and Carmarthen ham (£7) is light and delicate. I don’t even like peas but I find myself finishing the lot. Cockles and liver sauce (£6.50) is as full-on as it sounds. It’s not my cup of tea as the liver sauce is so overbearing but I can totally understand why someone with a stronger stomach than I might love it. 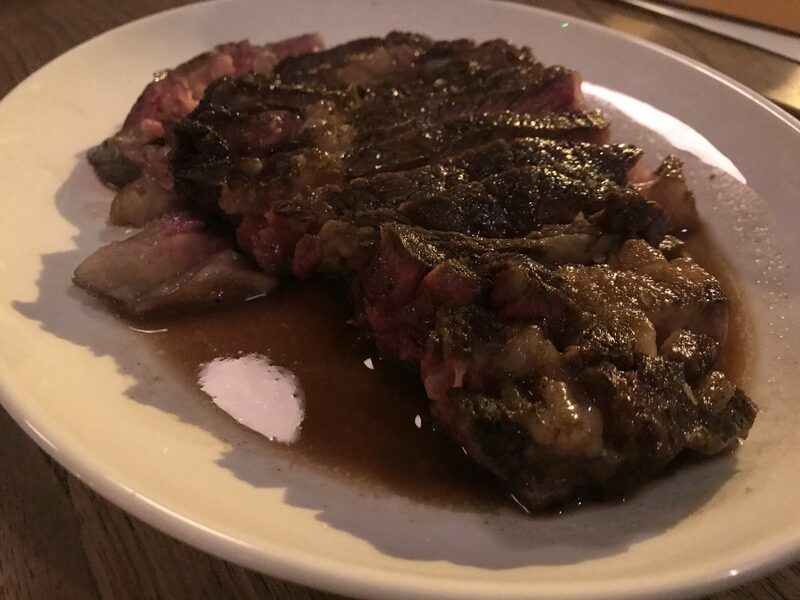 Jersey beef chop (£36 for 600g) is a glorious piece of beef. The flesh is ruby red while the fat just melts away as you eat it. 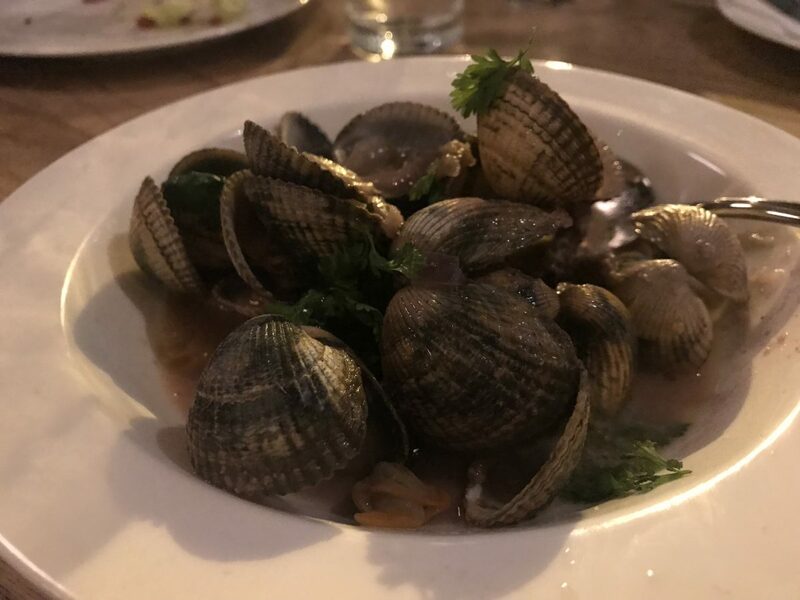 It sits in a puddle of butter and its own juices which is good enough to drink. 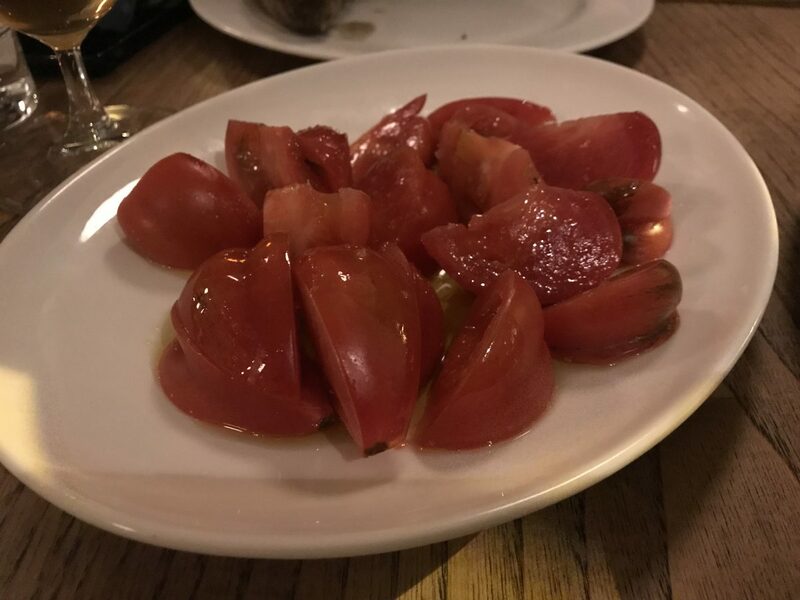 Tomatoes drenched in olive oil (£6) are sweet but their skin is a little tough. Smoked potatoes (£4.50) are soft and buttery, perfect with the beef and a must order. My new favourite thing is brown bread ice cream (£4.50), which sounds odd I’ll give you that, but it’s very clever. 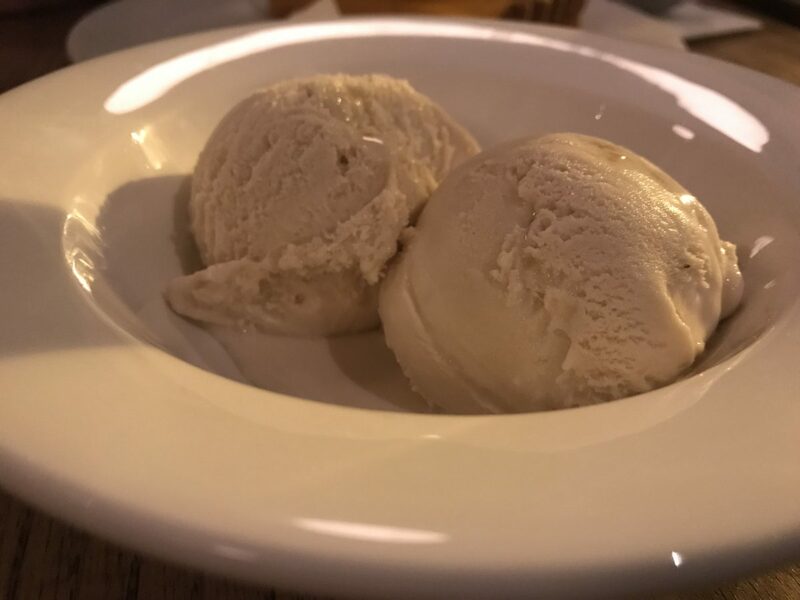 Creamy and sugary with the texture of the finest ice cream just with the flavour of brown bread. Delicious. Sometimes new restaurants find that perfect balance of exciting atmosphere and tasty things to eat. BRAT isn’t serving anything I haven’t had before, but who cares, it’s a brilliant place to have your dinner. This is one new opening you really should be putting to the top of your list.